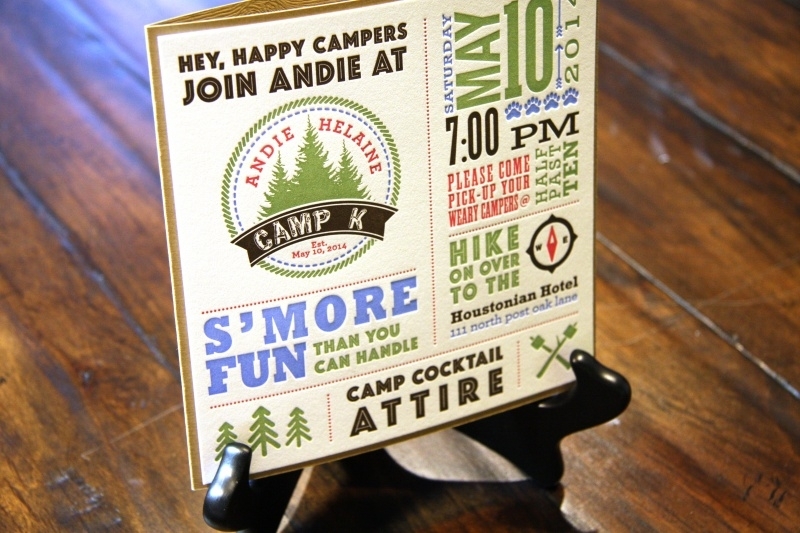 Fun four color letterpress Bat Mitzvah party invitation on Crane’s Lettra 110# C. This invitation required for passes (one for each color) with exacting registration. 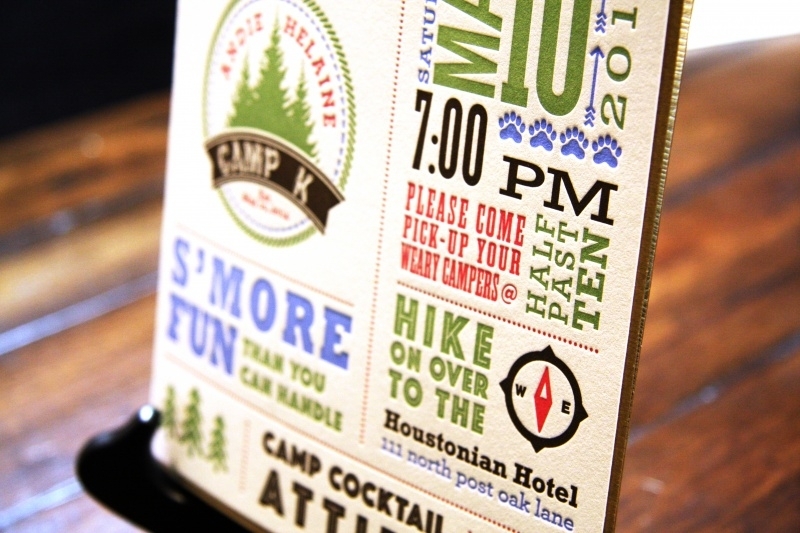 The finished invitation was mounted on Savanna Tindalo by Gmund which was letterpress scored/creased to create a booklet. 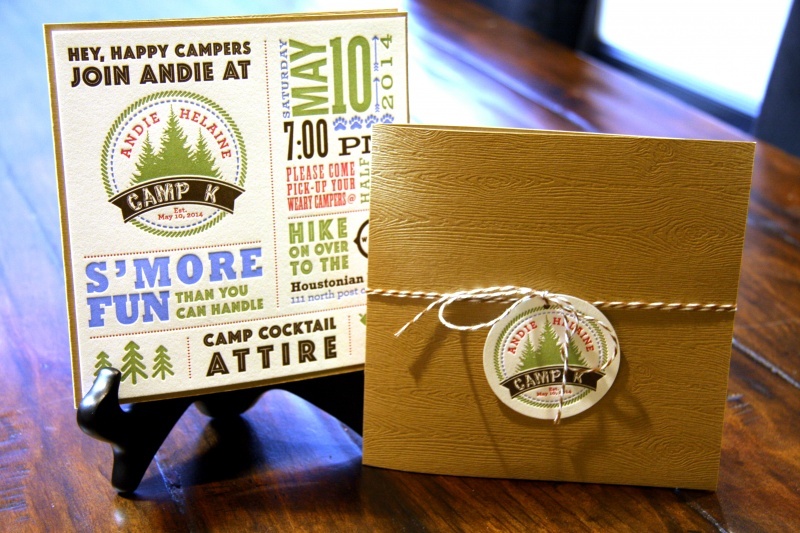 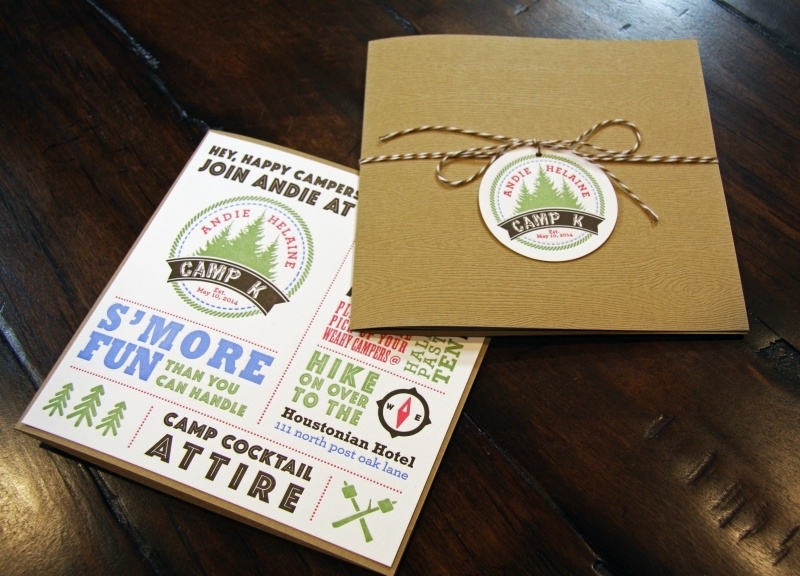 The invite was adorned with a four color tag to match the theme which was die cut into a circle and attached with decorative twine.